Is Your Smile Ageing You? There is nothing like being hit with a genuine smile. One that lights up the person’s face, from the mouth to the eyes. It’s true, a smile can be the ultimate expression of emotion, and even affects how other people judge us. Studies have shown that when we smile, we are considered to be more attractive and trustworthy! Plus there are also amazing health benefits to smiling – from lower stress levels, reduced pain and even reduced blood pressure. While all of this may be great news, there is a price to pay for flashing a genuine smile. You are probably unintentionally disclosing our age. Sorry to tell you, but when you break into a broad grin, or have a giggle, you are putting on show every fine line, wrinkle and facial crease. Why? Well creating that genuine smile is not just turning those gorgeous lips upwards. It involves so much more. Take a two-second test: head to a mirror; flash your biggest, brightest smile. What do you notice? Luckily, personalised cosmetic treatments can improve these signs of ageing. Interested? Read on! Just like our skin, our lips lose collagen and become thinner as we get older, disappearing as we smile. Thin lips can also exaggerates those deep vertical lines that start to appear around the mouth area, and above the upper lip (even if you don’t smoke!). The best treatment for lip wrinkles and lines around the mouth? Lip enhancement can be a two-step process. Firstly, restore volume to lips with dermal fillers. Cosmetic lip fillers restore lost collagen to the lips, and this volume boost also assists in filling in those lip wrinkles. For many, lip plumping treatment may be adequate to remove upper lip lines. For those who need more smoothing of those deep lip wrinkles and ageing lines and creases, anti-wrinkle injections are the cosmetic solution. By blocking the signals from the nerves to the muscles, these wrinkles will soften and relax, creating a gorgeous smile. When we smile we force our cheeks into action, emphasising facial lines and especially our nasolabial folds and marionette lines. Most of us acquire nasolabial folds as we age; these are those lines from the lower nose corner that extend to the corner of the mouth. Marionette lines occur when these deep lines continue downwards, direct from the nose towards the chin. Both nasolabial folds and marionette lines are a result of the skin losing its elasticity and structure because of a loss of collagen. And they both are quite prominent when we flash a huge grin. By restoring the lost volume to the area with facial fillers, cosmetic treatment can smooth over these deep facial lines. Even better, because dermal fillers are known to stimulate collagen production, as well as smoothing these deep face wrinkles, this cosmetic injectable offers long-term skin improvements. A genuine smile comes from the eyes. Unfortunately, as will turn our lips upward plus our cheeks move, the eye area crinkles, putting on display all those under eye wrinkles, crow’s feet and wrinkles around the eyes. Rather than let your crow’s feet take centre stage when you smile, reduce your eye wrinkles with a personalised cosmetic treatment plan. The best anti wrinkle solution for your wrinkles around the eyes will depend on your skin. Options will include dermal fillers, anti-wrinkle injections plus laser skin rejuvenation. Under the eye, dermal fillers are used to add volume to areas that are suffering from a loss of collagen. Laser is also an effective cosmetic treatment, helping to restore collagen production, which means a reduction in eye wrinkles. And of course, the ever popular and extremely effective anti wrinkle injections can be used to smooth crow’s feet or fine lines and wrinkles under the eye area. The impressive paralyzing effect of anti wrinkle injections softens and smooths eye wrinkles. Upper face wrinkles, such as those deep expression lines on the forehead and those two vertical lines between your eyebrows, your frown lines, become quite noticeable when we smile. The best non-surgical cosmetic therapy to smooth out deep facial wrinkles like forehead lines and wrinkles are anti-wrinkle injections. These muscle-relaxing injections are proven to transform the skin and immediately reduce the look of expression lines and horizontal forehead lines fine. 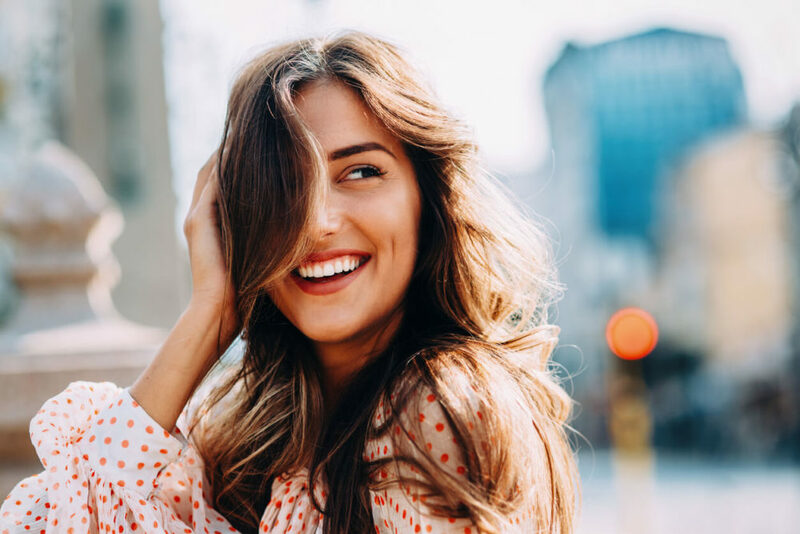 If your face is betraying your age when you are flashing a gorgeous smile, let Dr Tom at The Skin Project provide you with a skin consultation. As a qualified and experienced cosmetic doctor, Dr Tom will review your skin and discuss your ageing concerns to devise a cosmetic therapy plan best suited for you. Find out more about how you can enhance your skin with personalised cosmetic skin solutions for your skin’s long-term health. Receive Special Discounts, News & Tips Straight from our Cosmetics Doctors. The Skin Project by Doctors. Skin is a living breathing, beautiful biological miracle. The Skin Project is here to dispel the myths and offer expert solutions to your skin’s long-term health. We want to make healthy skin effortless. Skin that remains radiant, resilient and beautiful for life. Information provided on this website is for general information only. It is not a substitute for individual medical advice. Individuals should consider their own circumstances and obtain medical advice prior to any cosmetic treatments. Cosmetic treatment results may vary depending from person to person. All clients receive a skin analysis and consultation with one of our medical doctors prior to any cosmetic skin treatments. During this assessment, each clients' personal circumstances, including medical history and skin concerns are reviewed to determine suitability for treatment, plus potential risks and side effects are reviewed.